The Stonewall Cymru Workplace Conference, supported by EY, returned to Cardiff on Friday 3 February 2017. Over 200 people from across the public, private and third sectors came together to learn and share the latest best practice on creating an inclusive workplace for lesbian, gay, bi and trans (LGBT) staff. Content included sessions focused on inclusive service delivery, supporting trans staff, building and sustaining ally networks and exploring multiple identities. La-Chun was born and raised in Rock Hill, South Carolina, USA. She attended Clemson University and graduated in 1995 with a Bachelor of Science in Ceramic Engineering. She then joined SELEE Corporation in Hendersonville, North Carolina and held a variety of roles, including Cast House Manager, leading their largest product line. La-Chun joined GE Quartz in October 1997, where she held roles as Process Engineer, Tubing Green Belt, Supplier Quality Black Belt and Manager of the Sand Processing Plant. She joined Corporate Audit Staff (CAS) in September 2000, performing and leading financial, regulatory, compliance, acquisition and/or commercial audits. Her last role on CAS was Executive Audit Manager of Global Compliance, Latin America and Commercial Excellence. She was also a member of GE’s Commercial Council. In May 2007, La-Chun joined GE Capital as the Vice President of Commercial Distribution Finance’s Field Services Group, leading a team of over 300 remote employees. 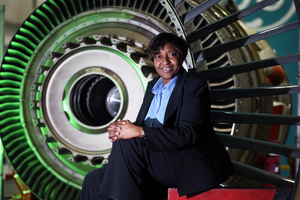 In January 2014, La-Chun joined GE Aviation as Plant Leader of Lynn Assembly, Test and Overhaul, where she led a team of over 400 employees in producing and developing engines for GE Aviation’s military and commercial customers. Since April 2015, La-Chun has been the Managing Director/Site Leader of GE Aviation Wales, a world-renowned engine overhaul and component repair site. GE Aviation Wales is the largest industrial company in Wales posting over $2.9B in annual revenues and employing over 1,200 employees. La-Chun plays a huge role in ensuring GE Aviation Wales gives back to the community through extensive volunteering, sponsorships and STEM activity in local schools. In addition, La-Chun is very active globally across the GE Affinity Networks and is especially active in GE’s Gay, Lesbian, Bisexual, Transgender and Allies (GLBTA) Alliance. La-Chun has been an Executive Sponsor and member of GE’s GLBTA since 2007 and is currently the only “out” Executive in GE Aviation. GE Aviation Wales’ GLBTA chapter was launched a few months after La-Chun joined GE Aviation Wales and has grown to be the largest chapter in the UK. She featured at No.4 in the Wales Online 'Pinc List 2016: The 40 Most Influential LGBT People in Wales'. La-Chun strongly feels that a good workplace should allow everybody to flourish, develop and be the best they can be and that this is best accomplished when everyone can bring their “whole” self to work. Anjeli Patel is a 29-year-old Indian transgender female. She was born in the Midlands and moved to London at a young age. She now works for Ernst & Young as a consultant within people advisory services (PAS). Having spent two years previously working within financial services at EY, she has enjoyed working over a cross section of industries. Anjeli is motivated about creating awareness of the issues that LGBT people face in the workplace. Furthermore, she is a member of the All About Trans' advisory group and is a nominee for Inclusive Networks' 2017 '#ThisIsMe Awesome 100 Awards'. She has spoken at Imperial College, at the Stonewall Workplace Conference London and on the BBC Asian network. She is also an active member of Unity (the LGBT staff network at EY). EY are firm believers in “building a better working world”; one of Anjeli’s proudest moments to date has been contributing to EY’s new guidelines on gender identity, expression and transition launched this year. 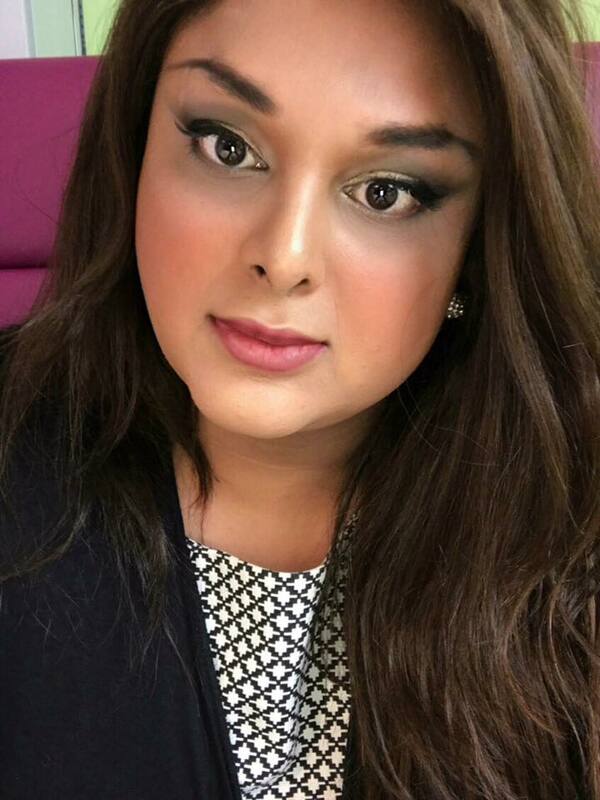 She will be speaking about her own journey as a transgender female, coming out, finding work and how she addressed the challenges she has faced gaining acceptance from certain members of the wider community. When providing vital public services it is essential that your service users are empowered to give you honest feedback about their experiences with your organisation as LGBT people. This session guides you through the consultation and engagement process and discusses how to form an action plan based on your consultation. LGBT consumers are a powerful consumer group and research shows that they are more likely to buy products and services from organisations that demonstrate an ethical commitment to the LGBT community. This session will deliver practical guidance on how your organisation can realise enhanced brand loyalty and customer satisfaction through inclusive marketing. Stonewall’s research shows that LGBT people disproportionately experience mental health problems. Mental health is also still shrouded with social stigma, preventing many people from getting the help and support they need. This session aims to explore how we can raise the profile of mental health experiences within the LGBT community. Allies have the power to transform workplace cultures from unaccepting to accepting and from accepting to actively inclusive for lesbian, gay, bisexual and trans people. We know that taking a structured approach and setting up formal ally networks is the best approach to creating sustainable change in your organisation. This session will help you to set up and build your ally network, including working with existing LGBT networks, with examples from successful organisations. In the current financial climate, public sector organisations need to think creatively to ensure that progress on equality is not lost for LGBT staff and service users. This session will explore the additional impacts that cuts to public sector funding can have on LGBT people and provide some practical tools to deal with the challenges that arise from having limited resources. Monitoring allows organisations to work intelligently to respond to the needs of their staff, customers and service users. This session will help you to gain best practice knowledge around the life cycle of monitoring and how to use the data to improve the culture of your organisation. Organisations with dispersed workforces often struggle to engage staff with LGBT inclusion initiatives. This session will explore ideas on how to reach staff who work in satellite offices or stores and have limited (if any) access to electronic resources and how to help keep them informed and included in the organisation’s diversity journey. The experiences of trans staff and those transitioning at work are diverse and unique. This means that organisations have to take an informed and individual-centred approach to trans inclusion. This session will look at specific practical steps your organisation can take to support trans staff. 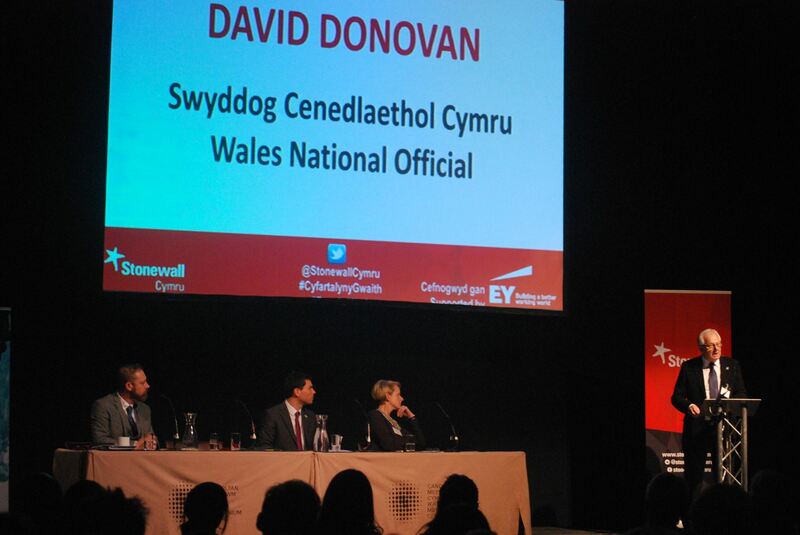 For further information on next year's conference, contact cymru@stonewallcymru.org.uk or 029 2023 7744.